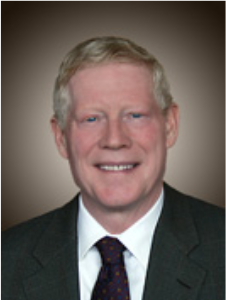 Robert Busch has over 35 years of broad-based management experience in energy with responsibilities ranging from international strategic energy consulting to providing strategic, financial, and support services. Busch was the CFO of two major U.S. utilities. Prior to this position, he was the President and COO of Public Service Enterprise Group Services Corporation and CFO of Public Service Gas and Electric. Earlier in his career he served as the Chief Financial Officer of Northeast Utilities. He received his Bachelor of Science degree in Engineering from Case Institute of Technology, his Master of Science degree in Engineering Science from Rensselaer Polytechnic Institute, and his MBA with highest honors from Northeastern University. Busch has received numerous awards including the American Nuclear Society Governance Award, the Wall Street Journal Award for Academic Excellence, and the Northeastern University Award for Outstanding Academic Achievement. As Chairman of the RETA Board, Busch is helping to lead the effort to access the large wind and solar resources that exist in New Mexico. RETA is the first independent state authority in the nation to clearly focus on the problem of how to provide high voltage transmission to remote areas that have enormous renewable energy potential.